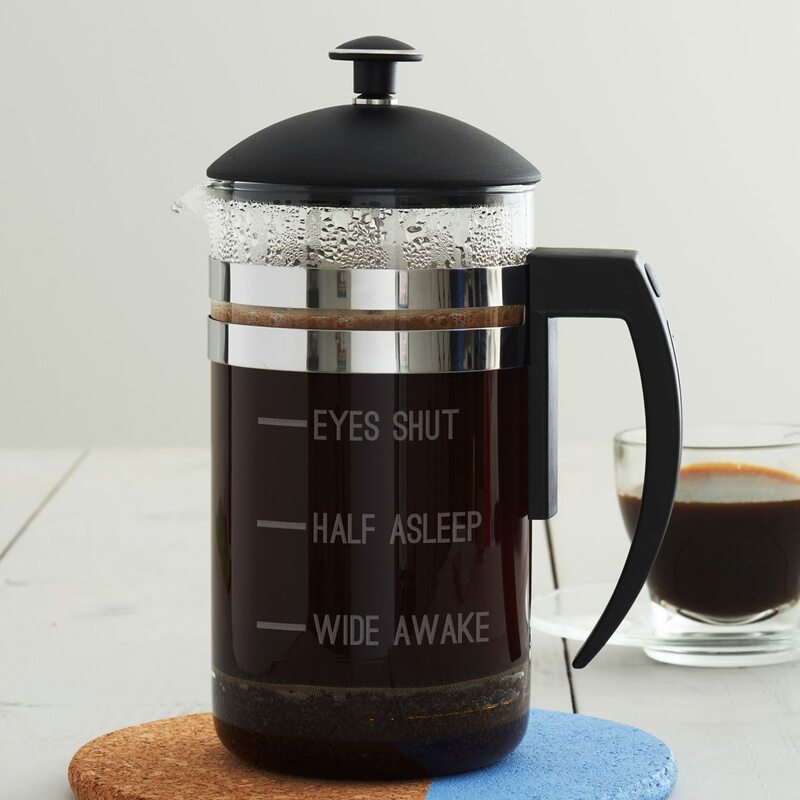 This cafetiere would make a great birthday gift for that someone you know who struggles to function in the morning without a large coffee! 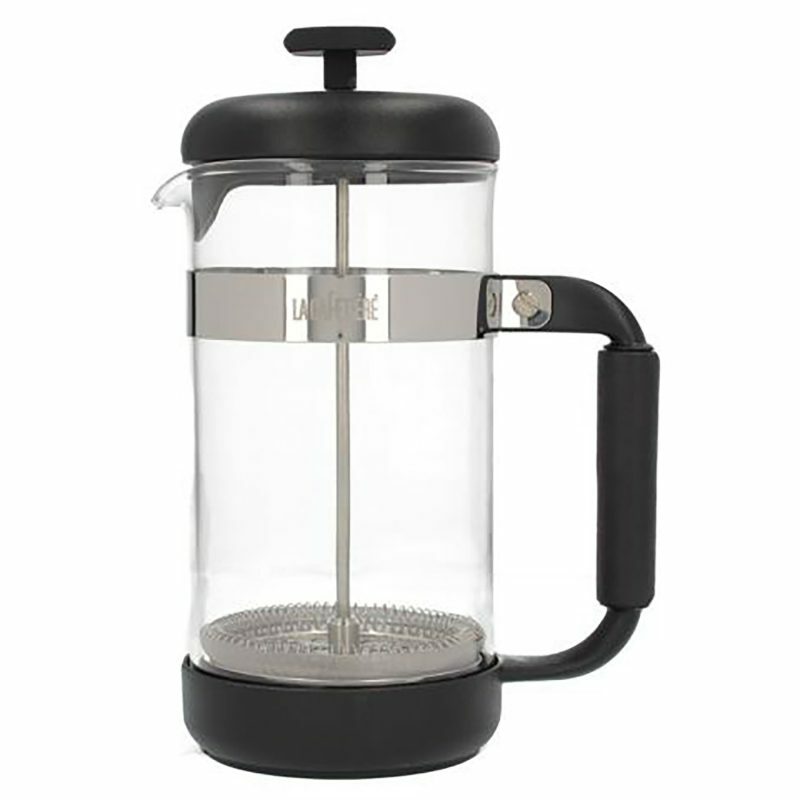 We now have a new glass cafetiere, please see the image gallery. 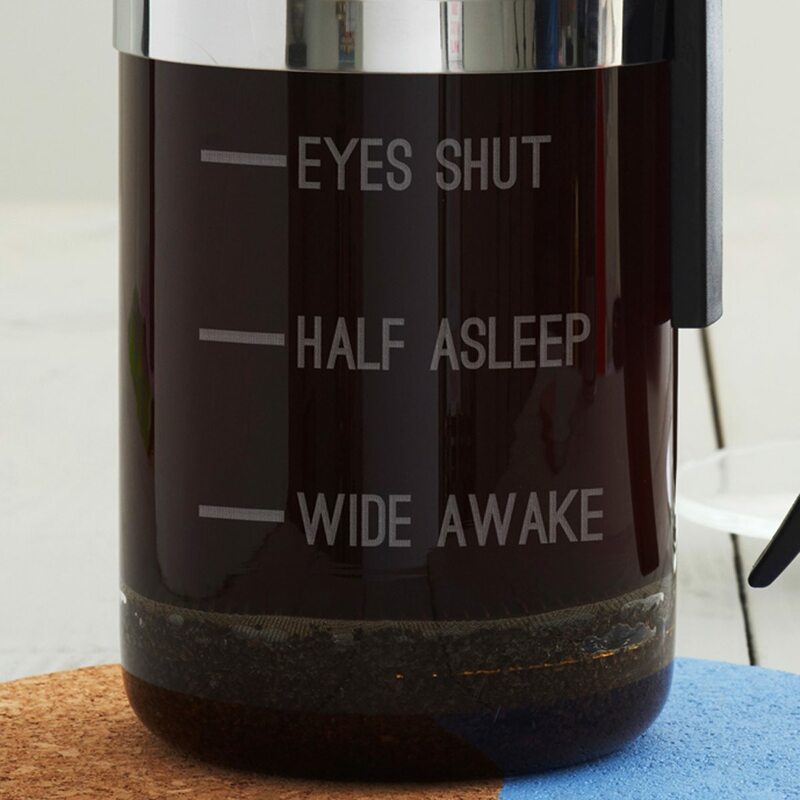 The cafetiere features three measure lines and comes etched with the words, ‘EYES SHUT’, ‘HALF ASLEEP’, ‘WIDE AWAKE’. The design is etched over three lines. The cafetiere features a heat resistant borosilicate glass beaker inside a chrome-plated steel frame with a black polycarbonate handle. 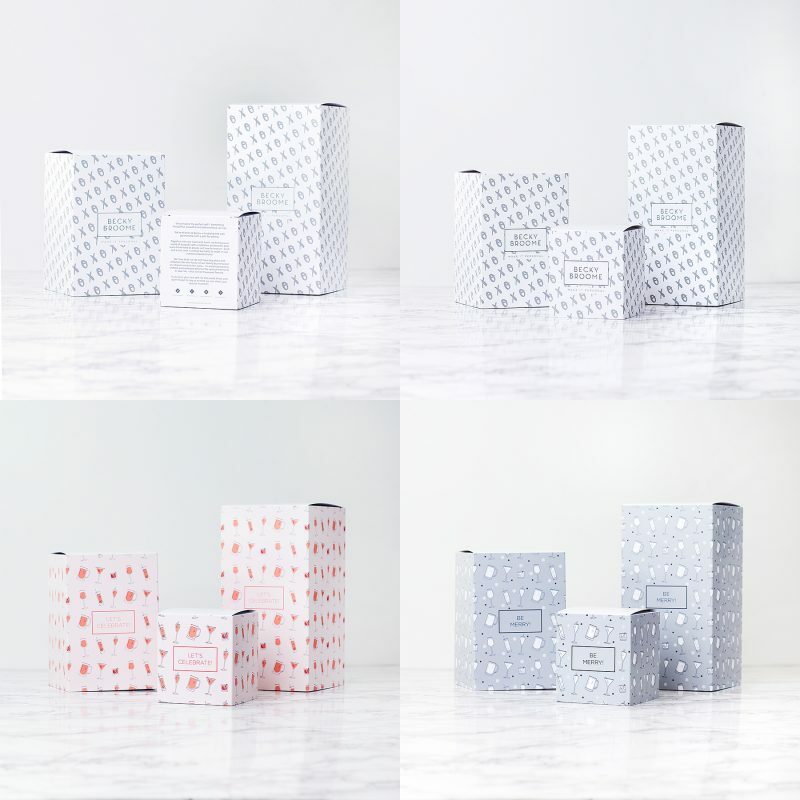 As each cafetiere is etched to order, there may be slight variations from piece to piece, this only adds to the unique nature of this product. As standard the cafetiere comes wrapped in bubble wrap and is sent in a bespoke postal box. Borosilicate glass beaker, chrome-plated steel frame, polycarbonate handle.